If you've ever blocked a knitted item, you know that blocking is basically an art form. Did you know that you can even use household objects to help you block? I've been blocking for years and I had no idea you could block a hat on a balloon until I watched with Kate Atherley. Sign up for Kate's class and you'll see other ways you can use household objects to block. The class is also a great intro to blocking for beginners. 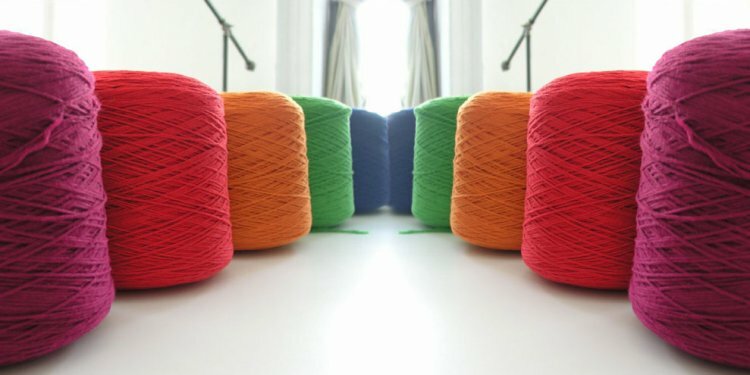 The yarn label is your go-to for everything you need to know about your knitted garment. Can you iron it? Is it washable, or should you dry-clean it? All this info is usually included on the label. Not sure what all those crazy symbols mean? Check out our guide to deciphering yarn labels. In high school, I knitted a striped hat that I was very proud of. I was so proud, in fact, that I wore the hat everywhere. The day finally came when I decided it was best to wash it. Without referring to any of my knitting books - the Internet was not the ideal place for crafting information just yet - I washed the hat in whatever detergent I could find. The next day, I wore the hat on a field trip. When I took off the hat, my friend gasped. My entire forehead had broken out into a rash. After a bit of research and a lot of embarrassment, I discovered that my rash was probably caused by using a detergent that was way too harsh for wool. Some detergents even have acid in them, which isn't suitable for our delicate knitted garments. Don't use just any old cleanser when you're washing your garment. Find one that's mild, and if you really want to do it right, find one that's made especially for your fiber like the soaps in the Soak Phil Basin Kit seen above. The No. 1 rule when it comes to knitting storage? No hangers! Any knitted garment is going to stretch and droop when placed on a hanger. If you've ever hung up a knitted sweater - even a store-bought one - you'll know how a hanger can make those shoulders droop into an unflattering pile. Most rules for garment cleaning and care depend on the type of knitted garment you're working with. with Kate Atherley is Craftsy's best resource for all cleaning and caring. Kate not only covers blocking (blocking wires, anyone? ), but she also covers how to store your knits and avoid moths and other yucky pests.